Hotel ibis Munich City. Book your hotel in Munich now! "The world is a book, and those who do not travel read only a page": With this quotation from Saint Augustine, I would like to welcome all travelers to the ibis München City hotel on behalf of my team. The hotel is just 328 yards (300 m) from Munich's main train station: The unbeatable central location and great transport links let you discover Munich without the detours - all of the Bavarian capital's tourist attractions are within approx. 3.1 miles (5 km), and many important businesses and institutions are also close by. 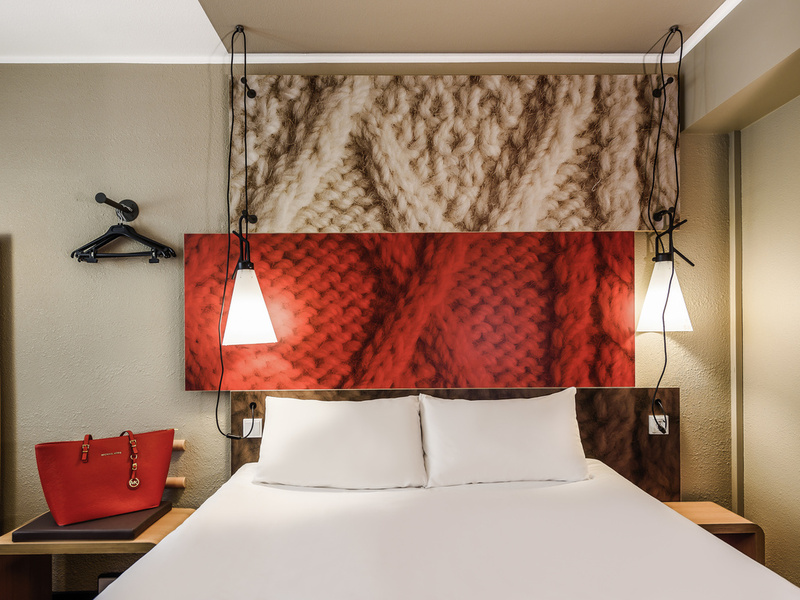 The ibis München City hotel has 202 rooms with air conditioning and 24-hour room service to make you feel right at home. There is also free WIFI throughout the hotel: in the lobby, in the bar area and in all guest rooms. In the heart of Munich city center and within walking distance of the city's attractions! Free WIFI throughout the hotel - stay connected! Keep your vehicle safe in our parking garage! It was everything ok, I liked the breakfast, the room, the services in hotel. It's very clean and the hotel maids are coming every day to change your towels and make your bed. I recommend it. There was a big noise all the time day and night. For the first day when the house keeping came I told her to come an hour later but when I returned at night the room remains uncleaned. Front desk just gave me new towels. The room was small but functional and clean, staff was welcoming and friendly. The only thing that I didn't like was the temperature. When I arrived, the room was very warm and stuffy. I opened the window immediately but it remained too warm during the night. Good. I wanted a hotel near the train station, clean and not expensive, and I got it. The room was very small but I did not care about it as I did not spend much time in it. Wanted a city break in Munich: this hotel is well located close to both: the city and the train station. The staff was helpful and nice. The room clean and comfortable. Friendly helpful staff. Clean room nicely decorated. Delicious breakfast. Well done Ibis Munchen City. I was looking for a good value, comfortable hotel close to Hauptbahnhof. The bonus was the great customer service. Top marks to Ibis staff. Everything was good and there is a luggage store for early arrivals/late departures. Breakfast ist also good with even fresh waffles. The room was clean and comfortable. There were 2 downsides though: we've arrived early in Munich, and we got a message on my phone saying the room was ready - when we got to the hotel, the room wasn't and we had to wait for more than 1 hour for it. On the day of the checkout, around 9 in the morning, someone opened our door. The person said something in German, I assume it was an apology, but I'd expect the hotel to have more control over the room service times. Room is comfortable & good, & the location is GREAT. Just 5min walk to the main train station. Staffs at reception has been very helpful. Room is of a good size & well decorated. Would recommend this hotel to others. The hotel was fine as an IBIS always is, only the price for room of €250 per night was too high. Apparently due to high demand. Down-side was noise in the night from football fans staying in the hotel.